Teaching Without Walls: Life Beyond the Lecture: The Lecture: A Cultural Construction of Privilege? The Lecture: A Cultural Construction of Privilege? "...a growing body of evidence suggests that the lecture is not generic or neutral, but a specific cultural form that favors some people while discriminating against others, including women, minorities and low-income and first-generation college students. This is not a matter of instructor bias; it is the lecture format itself — when used on its own without other instructional supports — that offers unfair advantages to an already privileged population." The idea that lectures create a biased learning environment that privileges certain students is not surprising to me -- and it may not be surprising to you either. If you are familiar with my work, you've likely read other posts where I examine this notion. However, to see studies that excavate the lecture as a method of teaching that reinforces social inequities is worthy of discussion. The article reminded me of a video presentation I made back in 2011 titled "Expanding the Funnel," which connected the flipped classroom model (a form of active learning) as a strategy for increasing degree attainment rates in community colleges (which saw an enrollment explosion in 2010-11, the time of the U.S. economic downturn). 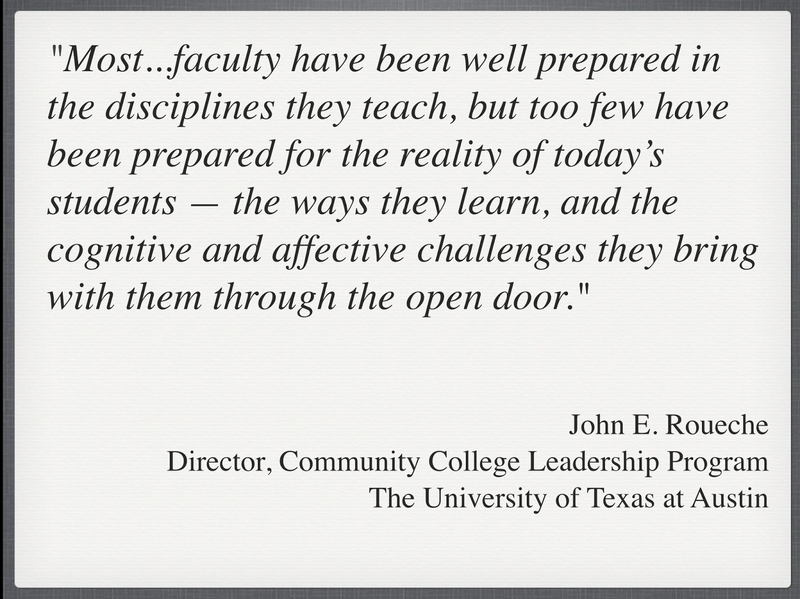 Community colleges have an open access policy, which means everyone one is welcome. They are the gateway to higher education in the United States and, as such, community college students are the most diverse group of learners in higher education. It is not uncommon for a single community college class to include students from multiple generations, ethnic minorities, first generation college students, ESL learners, students with cognitive differences (dyslexia, dysgraphia, etc. ), and students with physical disabilities. This diversity creates a powerful, fertile soil for students to learn from each others' experiences. 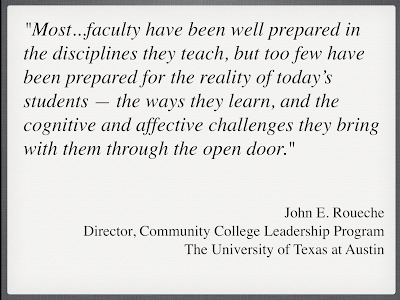 However, not all instructors use active-learning strategies in their classes and, as such, the learning environments that students confront while in college are not as inclusive as the open-access mission of CCs. Often, when I've discussed this topic with my peers, I've heard professors note that active learning does students who wish to transfer to a 4-year a "disservice," because it doesn't provide them with the skills needed to excel in the lecture environment. Let's keep this conversation going. It's time to start examining the broader, social implications of pedagogy on degree attainment in higher education. All students are capable of learning and obtaining a college degree. Let's support all of them. Finally, we must not cast blame on faculty. We need to support faculty to understand how the way they teach a class impacts the percentage of students who experience deep learning. Active learning is one step towards a more inclusive classroom.